Vaquero took a sudden, unexpected turn for the worse. Wednesday I was happy to have the information provided in the previous post. Thursday morning the results from several tests came back negative, indicating that everything is normal. Normal blood work, no signs of poisoning of any kind, negative for viruses, and negative for EPM. This all seemed like excellent progress and supports the idea of the arthritis in the neck being the problem. Vaquero traveled well down and back and was very much himself. At the Thursday pm feeding he was far from normal. This time I thought to grab the video camera. I shot several videos (the first one I am crying and so upset I removed the sound) and I will post one of them here. 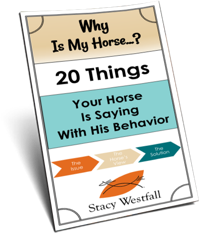 If you do not know what a neurologic problem in a horse looks like then this is your chance to see one. We were trying to move him to the indoor riding arena where there was less risk of him injuring himself if he falls. He is back on steroids and we are sleeping in the barn. I will keep you posted as I can. You can do one thing for me though if you have time. PRAY. Pray for the vets that are coming to look at him. Pray for healing. Pray for wisdom for everyone involved. And I thank God that even though his body is clearly not working right Vaquero (if you look at just his head) is still perky and curious. I am so thankful that he is not depressed and in obvious pain. 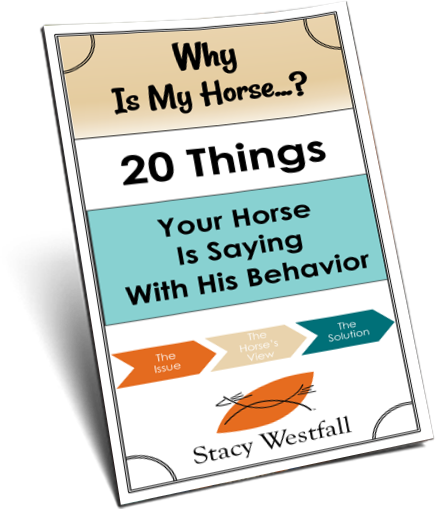 Hey Stacey….we have had several horses with Lymes disease and Tic related Anaplasma….. has your horse been tested..? My Hang Ten Jen ” Jenny” 5 yr old Show mare( Reiner!) had an Over the Top test come back …not the same symptoms but..she was fine one day and just like a rank Stallion the next ! And you could Not Touch her! Really no touch at all..After a round of anti biotics she back to herself….I have read and been told by our vet the neurological problems can come from advanced Lymes…..and Jenny never is turned out because of her sliding plates…just Walker and hand grazing… we think tic came in on hay…..JUST A THOUGHT! ;) PRAYERS FOR YOUR HORSE!!!! Elizabeth-I am so glad you found out what was wrong with your horse. I will keep that in mind. I have friends in Maine who have had issues with Lymes and Jesse’s dad personally had it. and the blog before and after it talk about it more also. Dear Stacy, I am Delena Barrett former owner of “POCO QUIXOTE RIO” the million dollar cutting horse that won the Gold and Silver with Bill Riddle back in 1987. I purchased Poco to learn cutting. I traveled to New Mexico to a Bible Cutting Clinic. However, in April of 2010 he became real lame on the left front foot. I took him after letting a local vet look at him on to Mississippi State University where Dr. Sampson took over. They ran all kinds of tests everything came back negative. They then thought it was EPM. We treated him with medicine everyday and an Nsaid everyday. He got better, quit limping so I brought him home to Meridian, Ms. to my barn and stayed with him constantly. You see I am alot like you in the fact I have had horses all my life. He was the greatest horse I have ever known. Something “spiritual” about him. He took a turn for the worse. Looks just like what your horse is doing. Neurogical signs-no balance, left foot hurting, like his neck is real sore. Dr. Sampson said she thought it could have been a series of strokes due to arthritis or EPM. However, I euthanized him on June 6th 2010. My world stopped!! No one ever could tell me exactly what was wrong with him. Same symptoms as your horse. I had to put my feelings aside and my local vet and Dr. Sampson at MSU decided it was the right thing to do. My heart was broken because I had just lost my mom-survivor of Lymphoma for 10 yrs. to a heart attack just 2 wks before having to put down Poco (my best friend.) I will pray for you and your horse. I am so sorry you are going through this. My heart breaks for you and your horse. I have been wanting to contact you about a horse I finally broke down and purchased a year after Poco died. Same bloodlines as Poco-out of “Black Little Lena” Smart Little Lena and Poco and Doc Bar top and bottom.. He is solid Black like Roxy and is so incredible smart like Poco. You will not believe what his registered name is, are you sitting down because this one will give you chills- IB POCO LENA!! I know God sent this horse to me to use me possibly with this horse. I would love, love to meet you and let you help me with him on freestyle reining and dedicate to my Mom and Poco a presentation on him. I have got a real challenge with him. 8 yrs old but loves to run and is full of himself. Beautiful horse with a cutting horse brain. I look forward to hearing from you. huge prayer for you and your horse. P.S. Don’t forget to PRAY ALWAYS!!! Delena Barrett-Meridian, Ms.